I love this pillow! 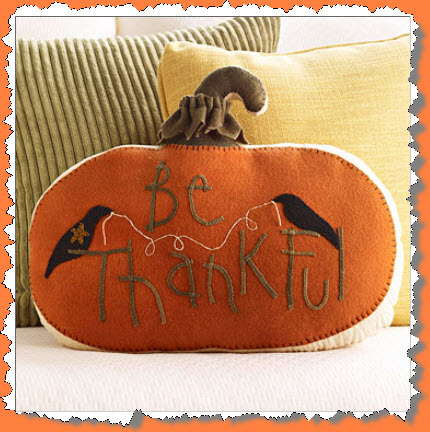 You can say both “Happy Halloween” and “Happy Thanksgiving” with this handmade felted wool pillow. There is a complete supply list and instructions for this “Felted Wool Pumpkin Pillow”, enjoy! BHG has the cutest ideas for Halloween and fall. They have several felt projects for us to make, so check them out.